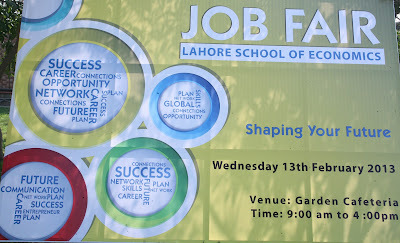 The Lahore School of Economics’ First Annual Conference on Social Sciences is being held on the February 28- March 1, 2013. The Conference features some prominent academicians, scholars and researchers (Dr. Tariq Rahman, Prof. Dr. Samina Amin Qadir, Dr. Waseem Anwar, Dr. Nukhbah Langah, Dr. Tayyaba Tamim, Dr. Munazza Yaqoob and Dr. Ayesha Bashiruddin to name just a few) who will present their papers on topics ranging from Politics, Education, International Relations and English Literature. The first day (February 28, 2013) of the conference is devoted to the subject of English Language and Literature. 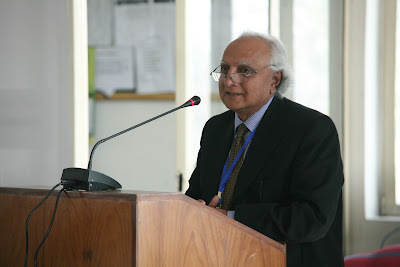 The second day (March 1, 2013) of the conference will cover issues related to the discipline of Political Science and this includes papers on external and internal aspects of Pakistani politics. Mahinda Pushpakumara is a Lecturer of the Department of Economics, Faculty of Arts University of Colombo, in Sri Lanka. He received MA in Economics from University of Colombo. He teaches Microeconomics, Statistics and Mathematical Economics. 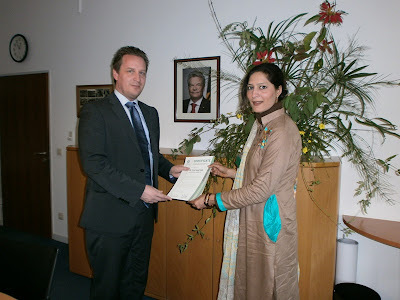 His area of interest is labour market issues in Sri Lanka. His PhD tropics is Investment on human capital Portfolio in Sri Lanka. Currently he is doing his research at Lahore School of Economics. Uzma Zaidi, Lahore School Sports Coordinator receiving "DFB International Football Coaching Course 2012" (Germany) certificate by Dr. Thomas Ditt, the First Secretary of German Embassy on February 8, 2013 in Islamabad. 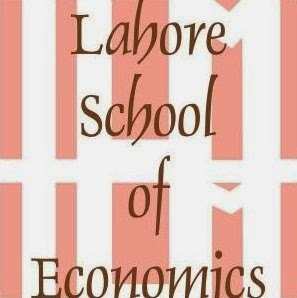 Lahore School of Economics has advanced to the regional finals of the fourth Annual Hult Prize being held on March 1-2, 2013 in Dubai. The Hult Prize is the world’s largest student competition and crowdsourcing platform for social good, recently named one of the top five ideas changing the world by President Bill Clinton and TIME Magazine. In partnership with the Clinton Global Initiative, the innovative crowdsourcing platform identifies and launches disruptive and catalytic social ventures that aim to solve the planets most pressing challenges. Student teams compete in five cities around the world for a chance to secure USD 1 million in start-up funding to launch a sustainable social venture. The 2013 Hult Prize is themed around global food security and will focus on how to get safe, sufficient, affordable and easily accessible food to the 200 million people who live in urban slums. Adnan Haider, the Head of Distribution, Faysal Asset Management, Faysal Bank gave a talk to BSc students on February 01, 2013. He focused on wealth management and its products. He elaborated on asset allocation and portfolio management. 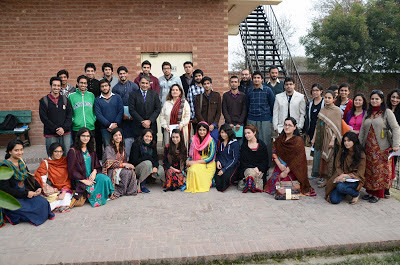 Adnan Haider also told the students that loyalty to their organization would be a long term asset as opposed to switching institutions on a regular basis. It was an interactive and informative session and the students asked many quality questions from the speaker.